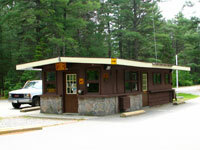 Lake of Two Rivers Campground is open from the May long weekend until Thanksgiving. 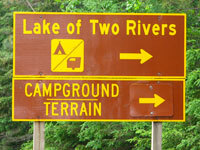 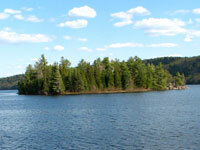 The Lake of Two Rivers Campground is located at km 31.8 of Highway 60. 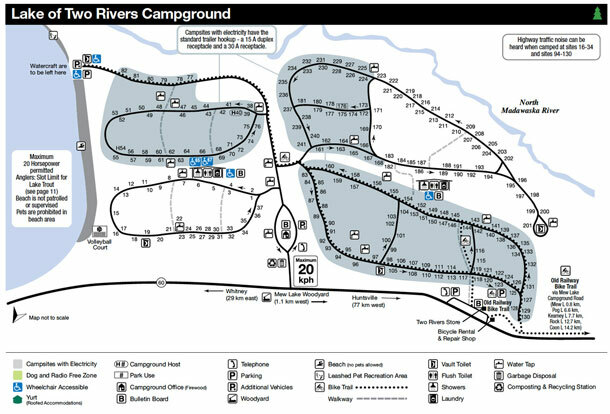 Below is a current map of the Lake of Two Rivers Campground for trip planning purposes. Click to enlarge the map.